Prof. Dr. Roland Imhoff is interested in the role of what is labeled ‘conspiracy mentality’ in intergroup and interindividual attitudes and behavior. 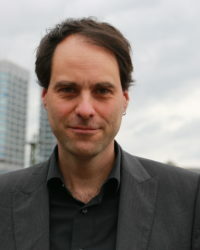 Based on the by now well established finding that people systematically differ in their general degree to either accept or reject diverse conspiracy theories and Moscovici’s terminology of a ‘conspiracy mentality,’ he has worked on the antecedents and consequences of such a general mindset to see the world determined by powerful people’s plots hatched in secret. This tendency may play a decisive role in how people react to the perception of power, whether they see it as a sign of trustworthiness or of threat. Conspiracy mentality is firmly associated with prejudice against powerful groups, and a tendency to challenge the status via political protest (Imhoff and Bruder, 2014), above and beyond established constructs like authoritarianism (Imhoff, 2015). Spelling out this anti-establishment idea, current research tested the role of this tendency in medical decision making and epistemic trust in sources of historical knowledge. On the side of personality correlates, they have identified a small but reliable association with the need to see oneself as unique and special (Imhoff and Lamberty, in press) and currently seek to empirically dissociate conspiracy mentality from paranoid thinking.